Located at the Podere Pascena, about halfway between two small villages on the southern slopes of Montalcino, Fererro has become a household name at K&L over the past decade. Pablo Härri is a Swiss-born winemaker who graduated from enology school in Switzerland and sent out resumes to a number of wineries all over Europe, but only got back one response. It was from Banfi, the world-famous Tuscan producer. Pablo became the second in charge at Banfi for twelve years, before leaving to make wine at Col d’Orcia. While working at Banfi, however, he purchased the Fererro estate and eventually left Col d’Orcia around 2010 to make wine at his Fererro estate full time. The label is named after his wife Claudia Fererro and allows for a small production of wine each year, about 450 cases of Brunello. The Podere Pascena property has deep, rich soils and a warm, dry climate. The wines are plumy, ripe, and fruit forward but also have a savory character. 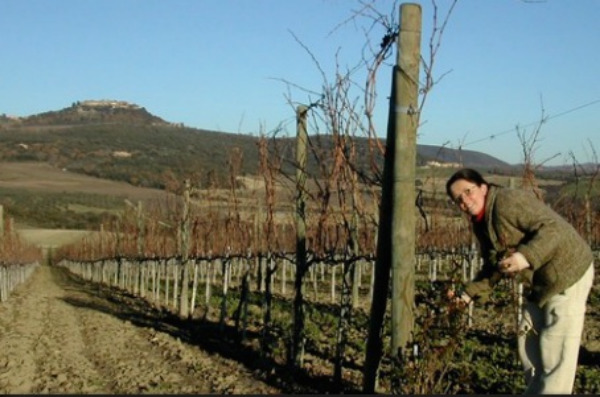 Frererro also has a second property across the southern boundary of Montalcino where they grow cabernet, merlot, alicante, and multipulciano which are blended into one wine under a Toscana IGT label.